Darn! Chainsaw is outta gas, so I'll use my shiney new 5-thou PE saw blades. They're a lot quieter. 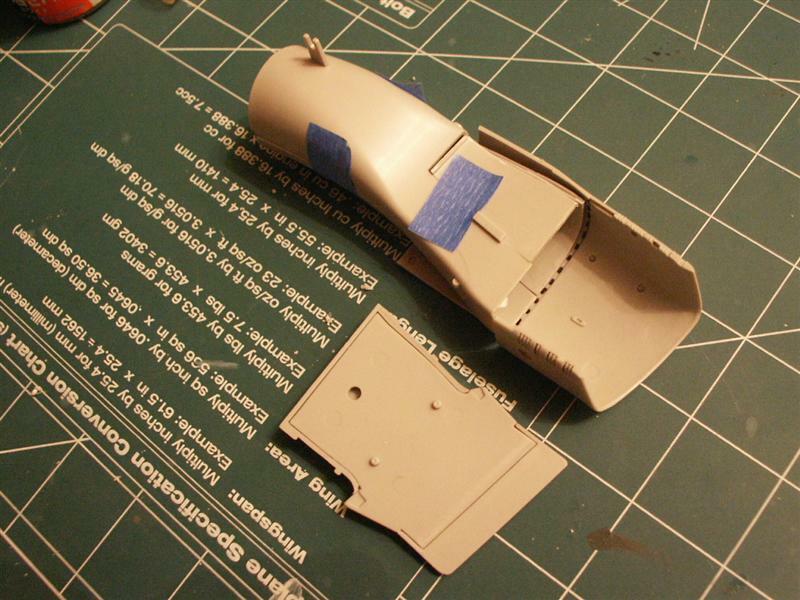 Aaaah, the smell of chopped plastic. Here we have a strategically drawn line on the outer intake cover. Also I have taped up the cut piece to my intake trunk. Other unmodified side on the left. Here's why I drew the line, and why it's so damn ugly when somebody gazes into the intake. 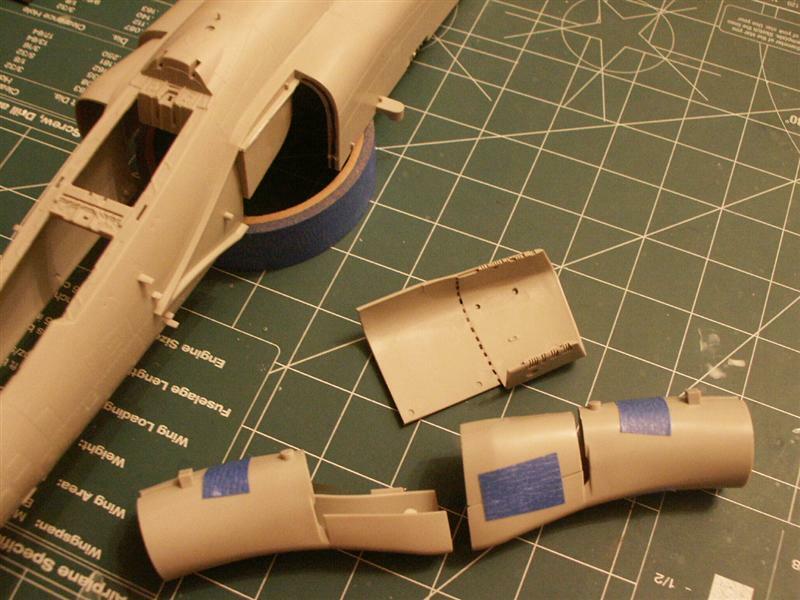 I'm going to be smoothing this out after GLUEING the outer 1/2 of the intake trunk to this outside nacelle. Bear with me here, this works like a charm and I've already fitted and dry run this a couple of times. Here's the victim,...erh patient on the operating table. Removed the remaining piece of intake off the port side. Other side left stock so ya'll can see what it looks like unmodified. The other piece of intake cut off the fuse, and taped to the duct. Can ya see where I'm going with this?! Bwhahah! I love to whittle. 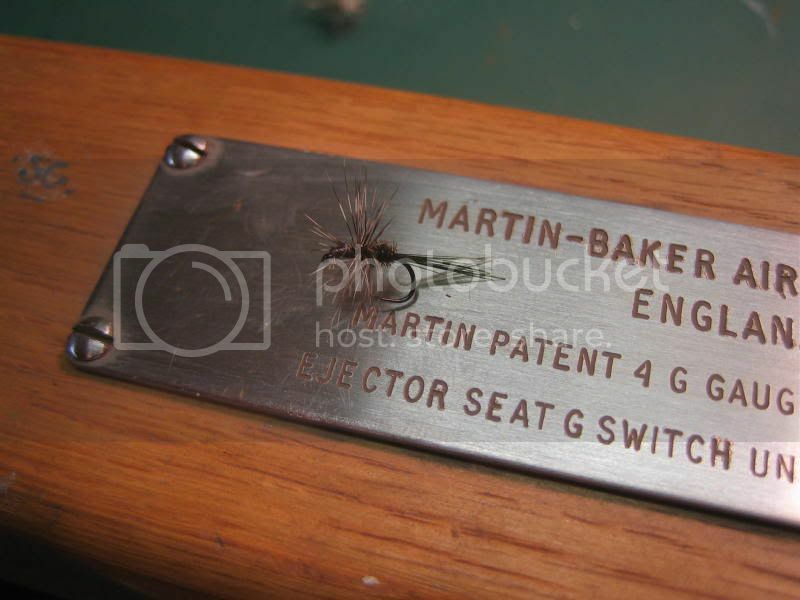 Don't want this part of the fuse, cause I'm going to filling in the 'slots' on the intake trunks. I want it to drop straight in. Here are my basic pieces for my 'seamless intake'. Wide open for me to putty fill all slots, seam lines, and what-not. The trick is in the sequence it's put together. 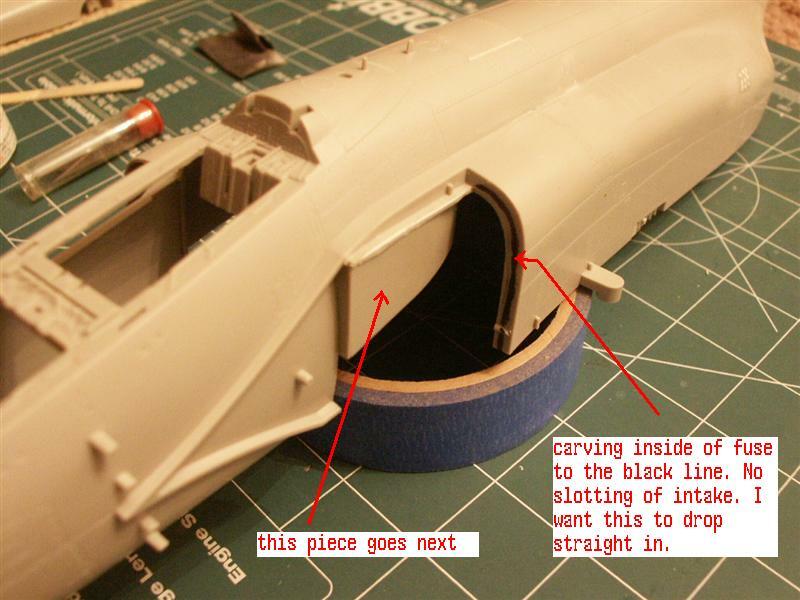 I will fill all the holes in both halves, then take the outer trunk, glue it to the nacelle,...fair that in, then glue the inner side to this completed half. I still have enough room to fill that seam after joining. This intake assembly will drop straight in as one piece. 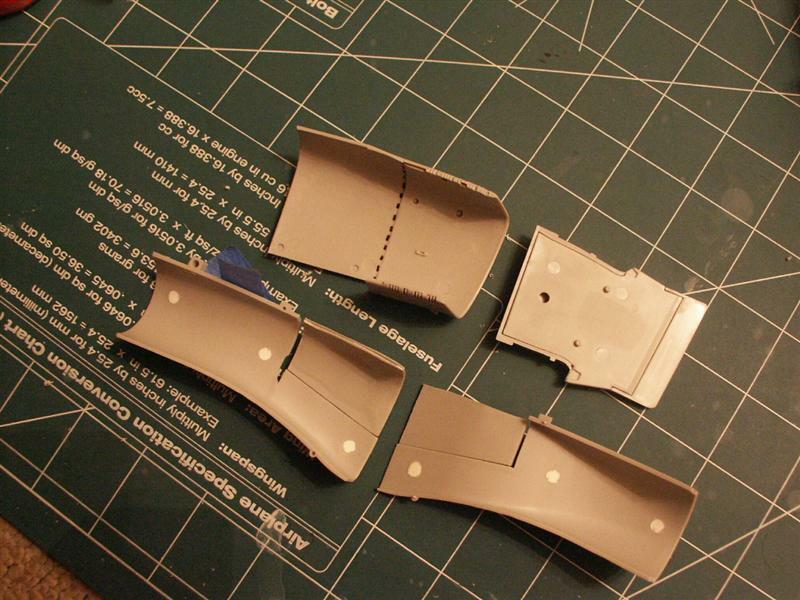 Doesn't affect the fit of the lower wing to fuse joint, and uses all kit pieces. It's just assembled in a different order, in a different way. I'll be taking pics as I go along to clarify. Can't wait to take that last pic of a flashight shining into it from the engine end,....and it'll be seamless. Whahoo! Wow, you really are mad Russ! Terrific work. I don't mind hacking up old Revell kits, but I don't think I could ever take the butcher's knife to something like that. I'm dying to see how all this surgery turns out. I agree with Kevin. You are most certainly mad. Bold move with the repair. 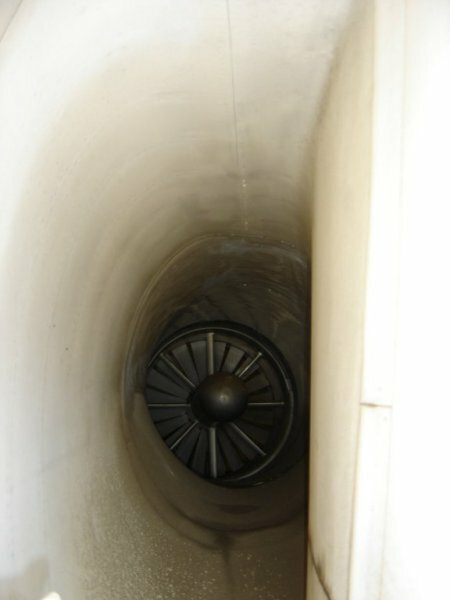 Make sure we get a good closeup of the intake! Oh and bring on the nano-tech bristles. I am ready! Ha, Russ, my young padawan, you learn qucikly! 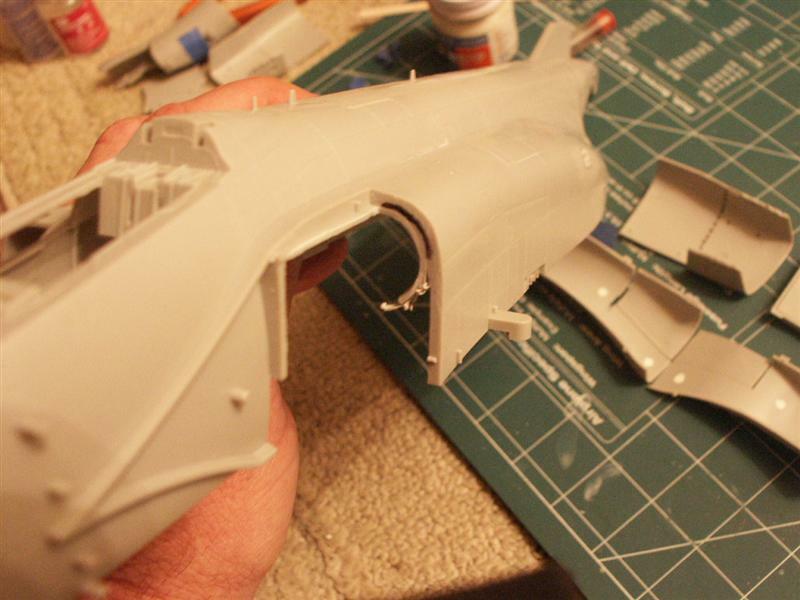 I like what you have done - if I had (could afford ) a Tamiya Phantom, I would also have carried out the 'seamless' intake mod in pretty much the same way you have done - so there is still hope for you yet! (it's all about thinking and forward planning - just 'wing it as you go along' for the rest ). 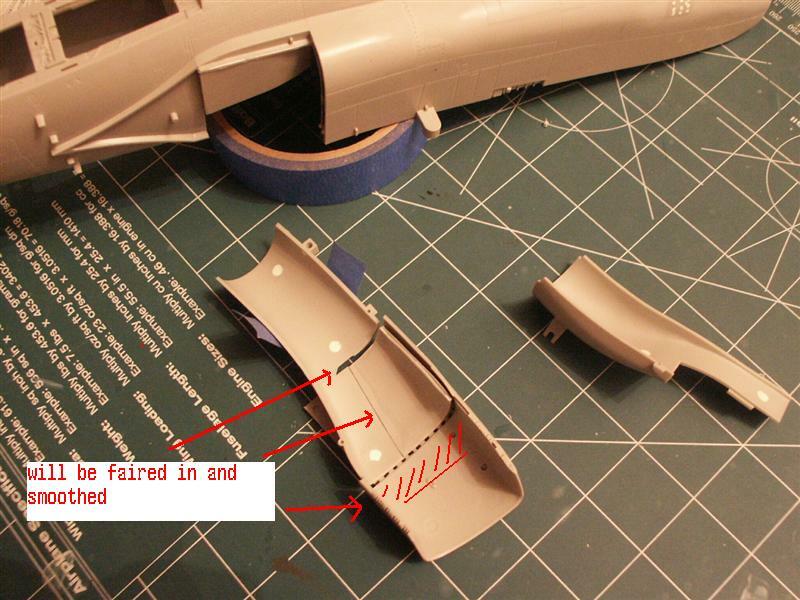 I have started a Revell 1/32 Phantom RF-4C kit (only the front end so far), so I have not yet even considered how I am to tackle my intakes, let alone even look at them! Yea, even though I thought I was riding the crest of my own fashion wave with this intake mod....it ain't so. This mod has been done before. 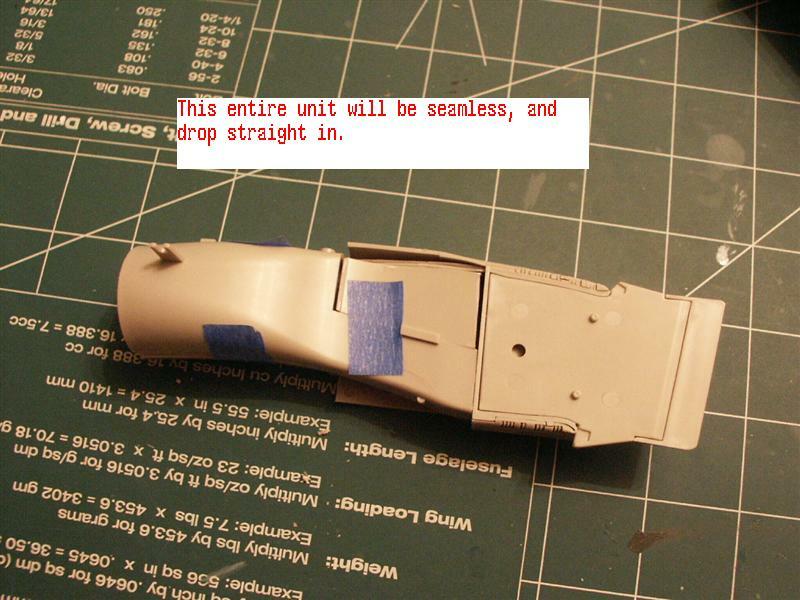 Surfing the web looking for F-4S minutae, I discovered another VF-301 1/32nd scale build on ARC(? ), and the build was EXACTLY like I planned on doing mine. (except for AC #, and mine has pilots) He even did the intake mod I'm doing to the letter. Even had a travel pod and all the stuff I planned on doing. Hmmm. On the lighter side, I did order a CAM F-4S mod kit and TER tonight. Don't have a clue what's in it as there was no pic. Hope it arrives before I finish. Also discovered they have 3 F-4S's on the USS Midway(which is here in San Diego harbor) I can go look at and take pics of. Whoohoo! 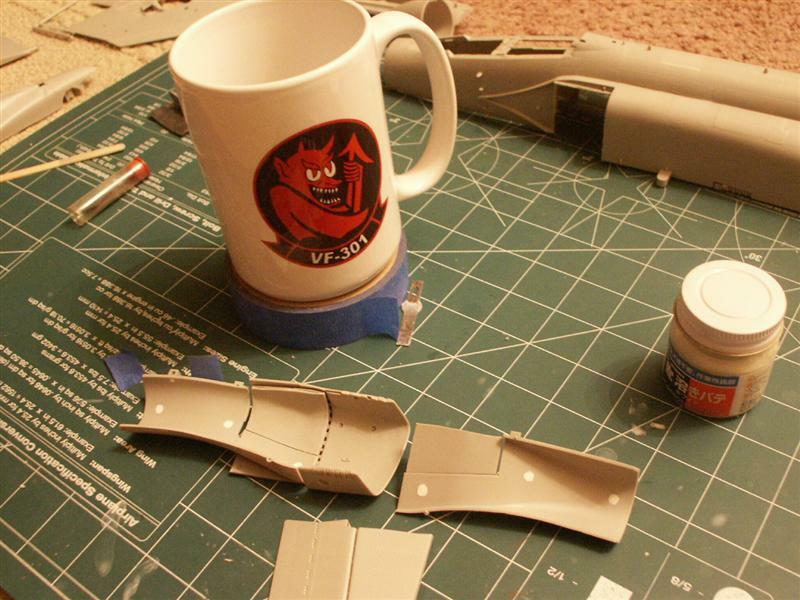 But I again digress; Back to the intakes on day 3 of this build. 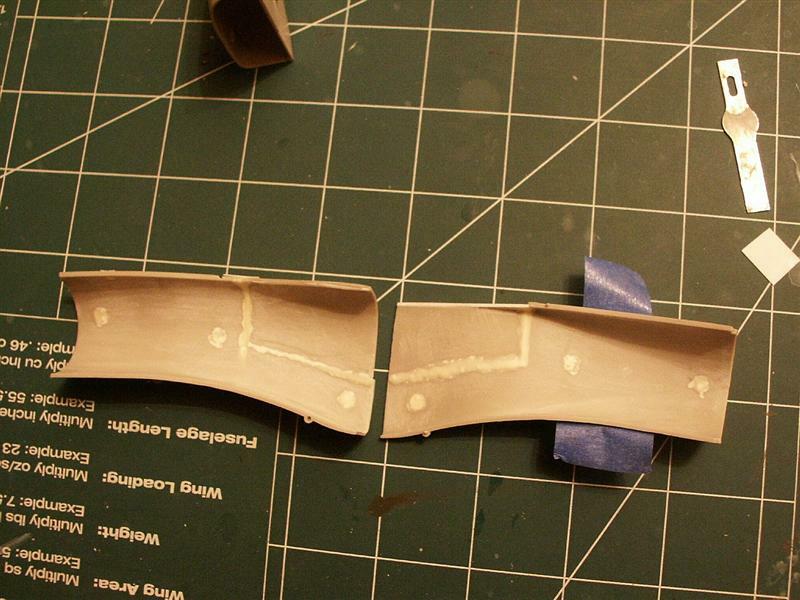 Started to putty and fill in all the seams/sink marks, and stuff to make these intakes smooth. BTW, they AREN'T supposed to be smooth! Here's a pic of the 'real deal'. hmmm. Heeey, thanks Derek. But nothing new under the sun....it's already been done I found out. 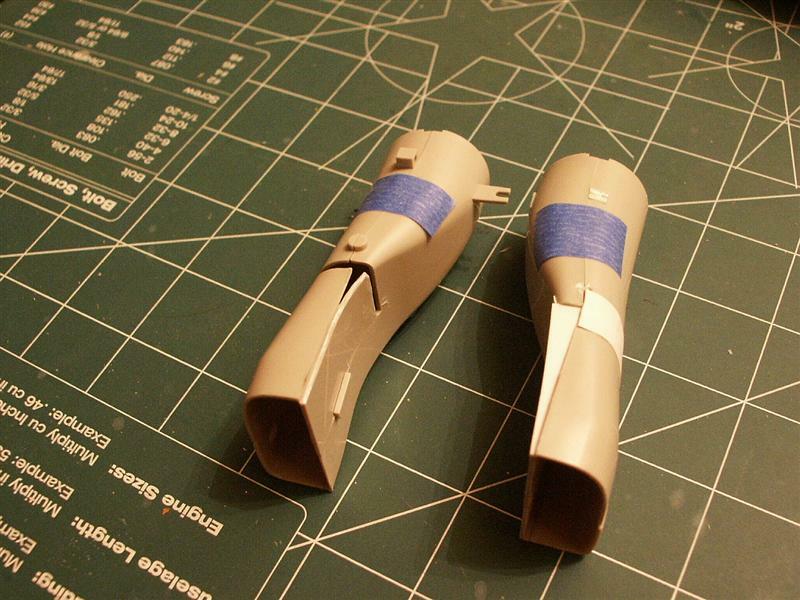 I searched to find out how they do seamless intakes on 1/48 F-4's, and lo...they are cast almost exactly like I'm doing mine in one piece. At least I'm on the right track? Gonna have to do something unique to mine now to set it apart from the 'herd'. Where was I? intakes,...right. Okay, here on the right is my almost completed intake trunk. 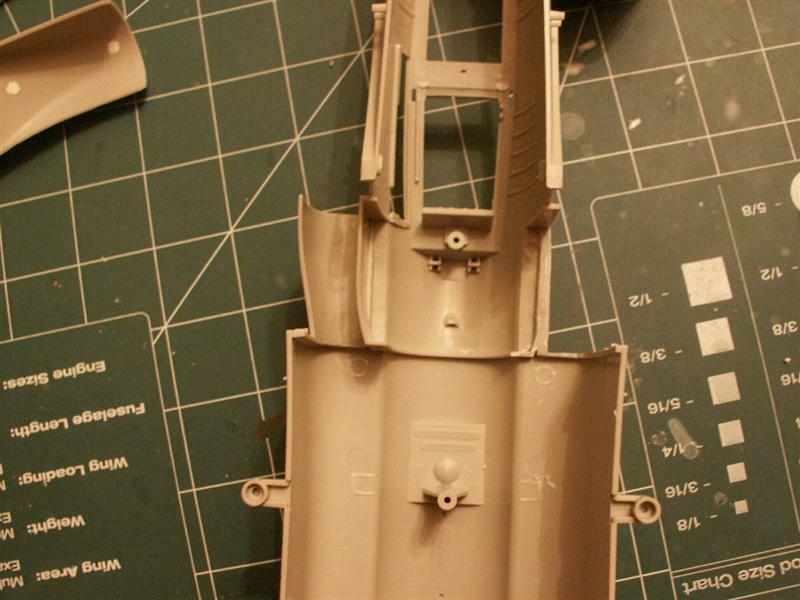 All the styrene on the outside looks like crap, but I don't give a pinch of owl dung. It won't show. On the left is what it looked like before 'modding the mod'. The 2 halves aren't glued together yet.